There are plenty of free and paid version cleaning applications available for Android devices . 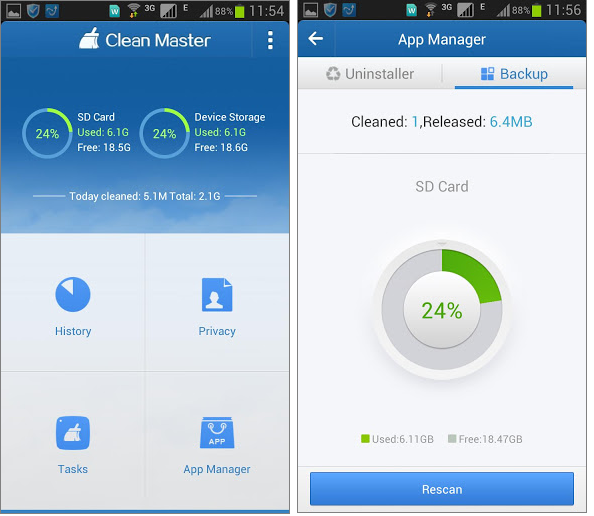 Here i listed 5 best free applications allows users to clean their android devices by removing unwanted files and histories etc.. and boosts android speed as new. 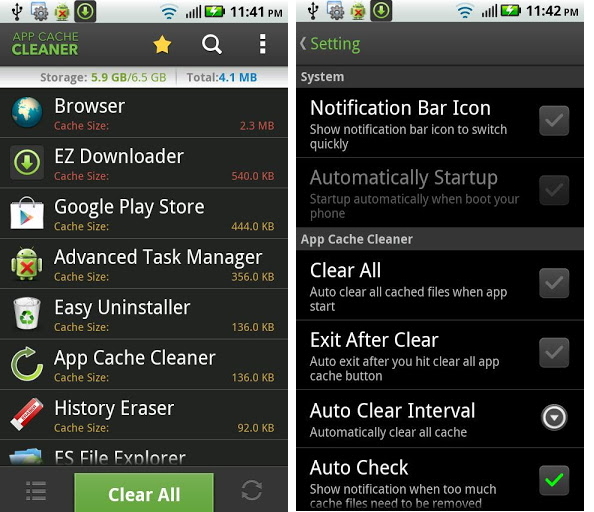 Clean Mster is an all-in-one cleaner app on android for cleaning app cache , unused files, residual files, search history and un installing apps. With this apps user can also Kill running Tasks and releases more RAM to boost your phone performance and save battery life without granting superuser permission. Advanced Mobile Care is an all-in-one Android security and performance optimization app that performs real-time virus scans while also featuring a powerful Game Speeder, Battery Saver, App Manager, Task Killer, Privacy Locker, Privacy Advisor and Cloud Backup. It's a history eraser for android device, and it can clean history of apps by only one tap. It can help you to protect your privacy, and it can also help you to free up the internal storage. It cleans your browsing history, call history and app cache files. App Cache Cleaner,a quick tool for clearing application cached files. One Tap to clean all cached files for getting more available space. If you running out of application storage, you now can get more available storage space by clearing apps created cache/data files. All Clear helps you clear all the cache files, SMS, call logs, histories and APK— just clean out your handset! Handsets can accept a large number of useless files during operation. With the help from All Clear, you can release more space for your device and let it run more smoothly.